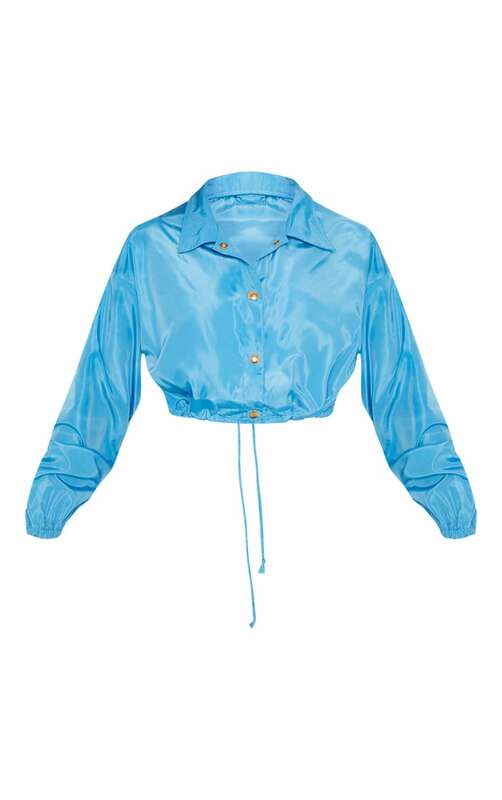 Brights are currently on trend and we are loving this statement jacket. 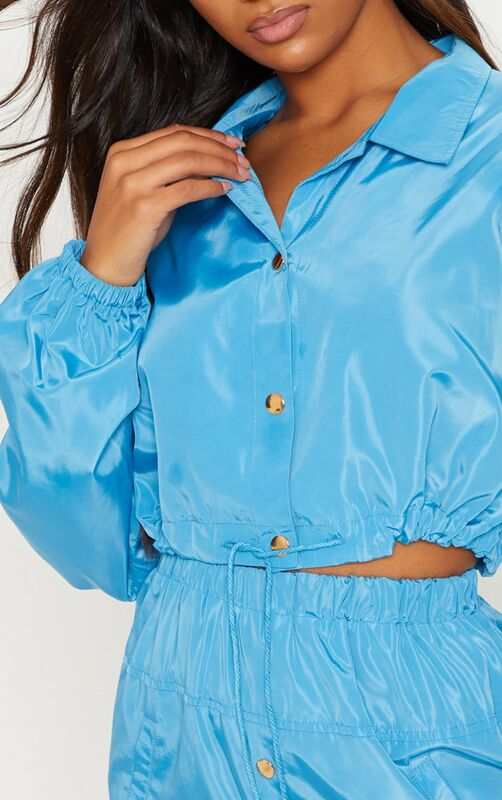 Featuring a blue shell suit fabric with long sleeves, an elasticated hem and flat collar, what's not to love? Style with the matching blue skirt and add reflective boots for the ultimate look.